Tamra went through her first breast augmentation surgery after she had her first child because she “just wanted a little perk.” That little perk turned into four more surgeries down the road – to augment, reduce, and augment again! “Then I got them done after my third kid. I thought that instead of getting a lift, I’d fill in the extra skin,” says Tamra. “That was a big mistake because then they were too big.” She went on to get the implant size reduced, but viewers of RHOC may remember Tamra actually having her implants fully removed 3 years ago post-divorce in order to feel like “her” again. That’s not where the story ends, though, as Tamra has since put those suckers right back in. Guess we’re all in for a “new and 5th-time improved Tamra” on the upcoming RHOC season! Three years after the suicide of Real Housewives of Beverly Hills star Russell Armstrong, the case still isn’t put to rest, at least not for his father, Louie. Louie claims that his son did not commit suicide, but rather it was a murder. And the L.A. County Coroner’s office and Russell’s widow, Taylor Armstrong, will not help him prove it. Taylor Armstrong has had her fair share of ups and downs in her life. Who can forget the drama between her late husband, Russell Armstrong, and the other stars of the Real Housewives of Beverly Hills?!? Nevermind the allegations about her husband abusing her, his financial lies and sudden suicide. So when it came time to marry the love of her life, John Bluher, you would think Taylor would be cool, calm and collected. Not so much she says…. Taylor Armstrong Shares Kennedy’s Memories Of Russell Armstrong; Kim Richards Didn’t Show Up For Taylor’s Wedding! Taylor Armstrong recently married John Bluher in a D-List star-studded made for TV event. 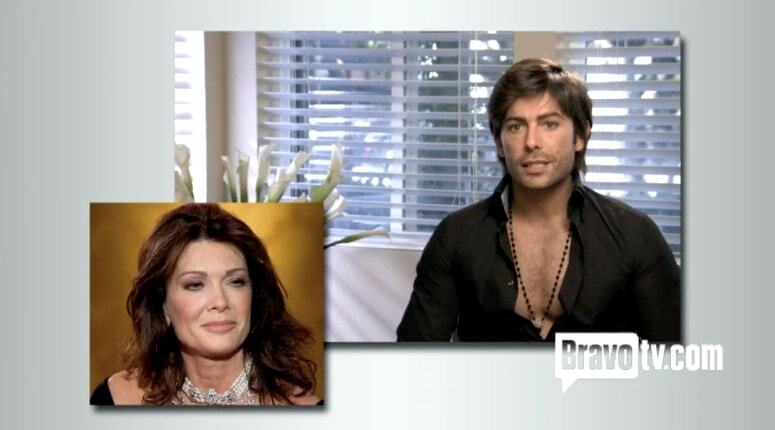 The former Real Housewives of Beverly Hills star invited several of her former co-stars, and discusses how difficult it was to accommodate all the warring personalities. She solved that problem by leaving one person off the list: Brandi Glanville! Yes, Taylor even invited Adrienne Maloof and her ex-husband Paul Nassif, she was so desperate for TV cameras but she didn't feel Brandi could behave! "Because it was during the reunion [special] and I didn’t know, that was week to week because the seating chart was one of the most complicated things," the Couples Therapy star explains. Taylor kept all the drama focused on herself because she kept the RHOBH bunch apart. “I separated everyone." Taylor also reveals to Us Weekly that Rambles Richards "pulled a Kim" and didn't show up. What was Kim so furious at Lisa Vanderpump for again? #hypocrite. Maybe Kim skipped because she's feeling salty that she was fired!